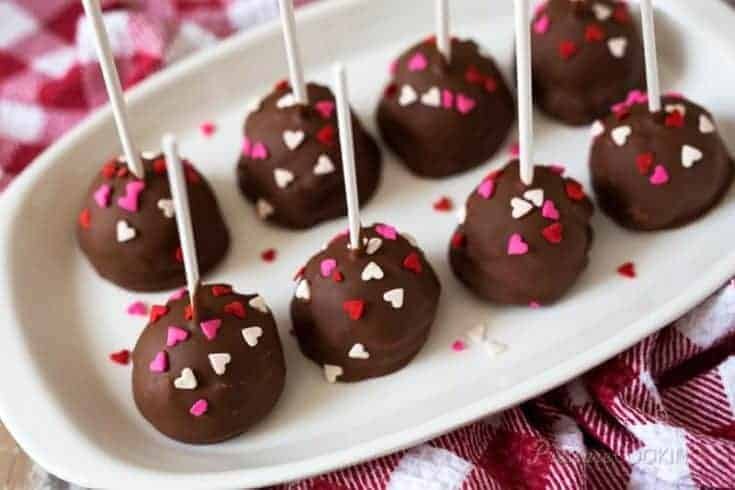 Pressure cooker cheesecake pops are smooth, creamy cheesecake dipped into rich milk chocolate and sprinkled with fun red, white and pink hearts. These luscious, easy-to-make cheesecake pops are the best pressure cooker cheesecake recipe treat for your Valentine. Cheesecake is one of my favorite things to make in the pressure cooker. It’s super easy to make, and comes out silky smooth. 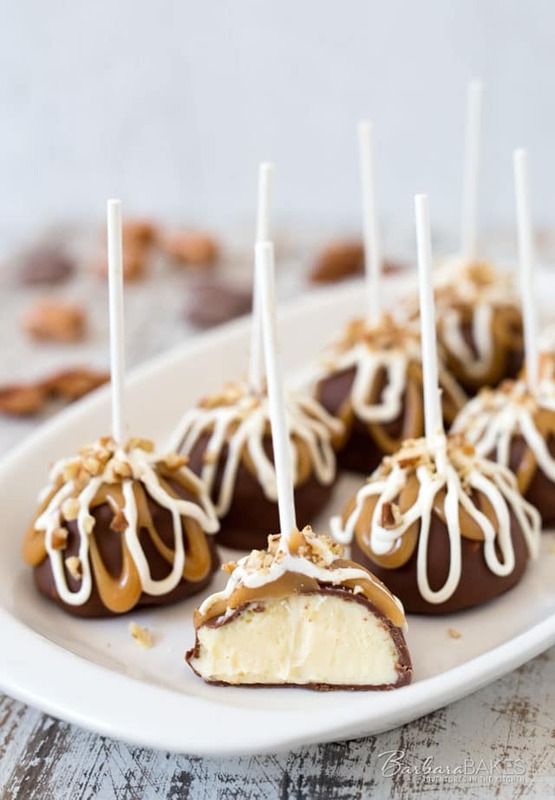 Last week I posted my Chocolate Covered Cheesecake Pops drizzled with caramel and white chocolate on Barbara Bakes. While I was making them, I was thinking about how much my Pressure Cooking Today readers love cheesecake. So I decided I should do a pressure cooker version. 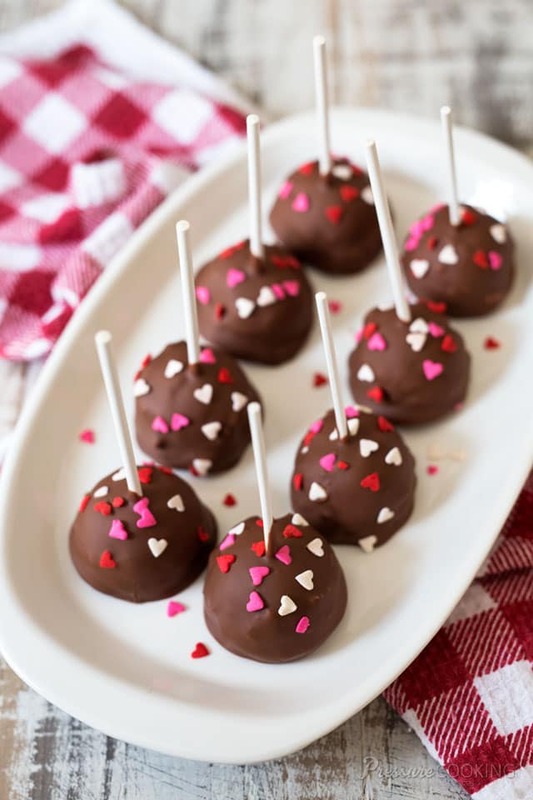 And since Valentine’s Day is right around the corner, I decided to make easy Valentine cheesecake pops. An Instant Pot is one of the most popular brands of electric pressure cookers. They are easy to use and your Instant Pot can help you create these delicious Cheesecake Pops! We keep Guittard Old Dutch Milk Chocolate Wafers in the pantry. I buy it to make chocolate ganache and chocolate treats, but my husband and boys often snack on it. 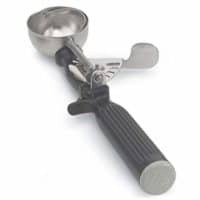 I used it to dip my cheesecake pops. If you can’t find the Guittard, Ghirardelli makes a good dipping chocolate and baking bars. In a pinch you could also use chocolate chips or candy melts. I used a #30 cookie scoop to make the pressure cooker cheesecake pops. You’ll get 18 pops from a 7-inch pressure cooker cheesecake. I bought the lollipop sticks at Hobby Lobby. It’s best if you make the pressure cooker cheesecake pops over 2 days so the cheesecake has lots of time to chill. You also need to freeze the cheesecake pops for several hours before dipping them in the chocolate. But the hands on time is pretty minimal and the end result is pretty much irresistible. I hope you’ll give them a try. Cheesecake dipped in chocolate and sprinkled with hearts. These luscious, easy-to-make Pressure Cooker Cheesecake Pops are the perfect Valentine treat. In a mixing bowl mix cream cheese and sugar at medium speed until smooth. Blend in sour cream and vanilla. Mix in eggs one at a time just until blended; don't over mix. Pour batter into the springform pan. Pour 1 cup of water into the pressure cooking pot, and place the trivet in the bottom. 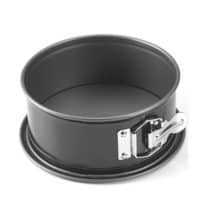 Carefully center the filled pan on a foil sling* and lower it into the pressure cooking pot. Fold the foil sling to the sides of the springform pan. Lock the lid in place. Select High Pressure and set the timer for 30 minutes. When beep sounds, turn off pressure cooker. use a natural pressure release. When valve drops carefully remove lid. Use the corner of a paper towel to soak up any water on top of the cheesecake. Remove the springform pan to a wire rack to cool. When cheesecake is cooled, refrigerate covered with plastic wrap for at least 4 hours or overnight. When the cheesecake is chilled, scoop the cheesecake into 2-ounce balls and place on a parchment paper-lined baking sheet. Carefully insert a lollipop stick into each cheesecake ball. Freeze the cheesecake pops, uncovered, until very hard, at least 2 hours. When the cheesecake pops are frozen and ready for dipping, prepare the chocolate. In the top of a double boiler, set over simmering water, or in a heatproof bowl set over a pot of simmering water, heat the chocolate and the shortening, stirring often, until chocolate is melted and chocolate and shortening are combined. Stir until completely smooth. Do not heat the chocolate too much or your chocolate will lose it’s shine after it has dried. Alternately, you can microwave the chocolate at 30 second intervals, stirring until smooth. Refrigerate the pops until ready to serve. *Make a sling with a 20 inch piece of aluminum foil, folded three times length wise or use one of these gadgets. These look delicious. Is it possible to freeze the cheesecake pops for a few days before dipping in chocolate? I’d like to do some of the prep work in advance before serving these at a party. Hi Kristin – yes, freezing the cheesecake pops a few days before dipping will work well. Enjoy! Great idea for Valentine day! How cute! And love the portion control, ease of eating, and how they can be changed up to fit the event. I’m pretty new to IP cooking, but was wondering about making these in the egg cup silicone molds. Do you know how long to cook them this way? Thanks! I haven’t tried them in the egg cup silicone molds, but that’s a great idea. My guess is they’d only take 2 minutes. Let me know if you give it a try.